FC Barcelona have taken a giant’s step towards yet another Copa del Rey final after beating Atlético Madrid 2-1 at the Vicente Calderón in tonight’s semi-final first leg. 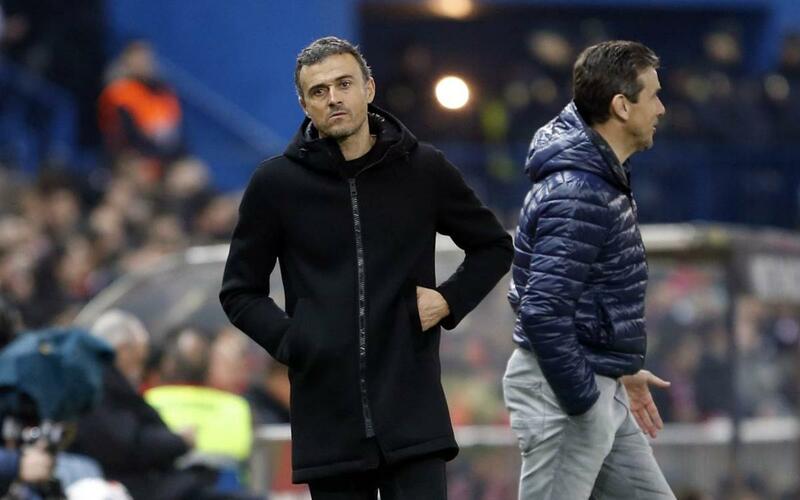 It goes without saying that Luis Enrique was happy with the result, even though it had been a very nervy 90 minutes indeed. "We got stuck right into the game, knowing how difficult the first few minutes would be at the Calderón"
"We knew what dangerous pressure Atlético create. We were in great control of it in the first half, both in defence and when moving into attack "
"In the second half we started to have more problems and the goal got them back into the tie. But it was a magnificent result – we coped well and I’m pleased. We’ve got an interesting second leg ahead of us." "In the second half we knew that they’d have to attack and press deep. They did a good of job of keeping things tight and attacked a lot more. We were finding it difficult to bring the ball out of defence. We could have finished the job with the third goal but they had chances to draw as well." "They made good use of their pressure to create chances but it was an encouraging result for us because of how difficult it is to come to this stadium and to play this team – even more so in a cup semi-final." "It’s in big, special games like this that Messi shines. There aren’t many words left to describe him. It’s in big games that we see the best of Messi"
"We’ll try to win this in the second leg and try to keep the ball as much as possible. It’ll be a different stage, and one that’s more favourable to us. I hope the Camp Nou will be packed to cheer us on." "Mascherano played well at pivot. The first goal came from his interception. I’m as positive about him as I am with the whole team."